Lexicon Containers is a leading rigid plastic packaging manufacturer – a business to business company. We are engaged in the manufacture and sale of innovative polymer products to industries like paint, agro chemicals, confectionary, lube and retail. Our job is to make high quality packaging as efficiently, profitably and sustainably as possible. All the while ensuring the safety and well being of our people and the satisfaction of our customers, who include many of the world's favourite and most famous brands. We offer customers the highest quality in innovative and sustainable packaging solutions, and strive to create partnerships built on service, reliability and excellence. Our geographical footprint puts us at our customer’s doorstep. Our capabilities enable us to offer customized solutions to our customers by using extrusion, injection and stretch blow molding processes in various segments like paints,lubes. 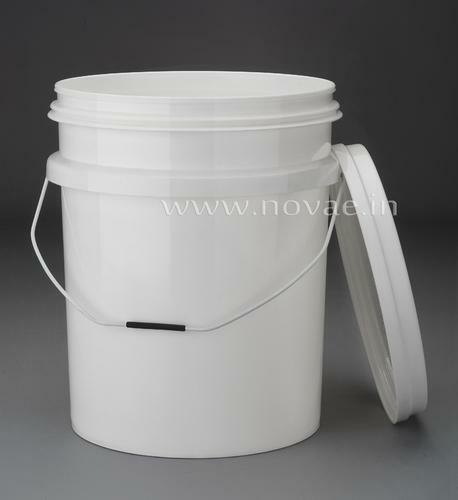 We have industrial experience from 2008, we are engaged as a Manufacturer, Exporter and Supplier of a comprehensive range of plastic products such as plastic food containers, plastic storage containers, plastic buckets, plastic storage bins, Plastic Bucket, Plastic Dhamela (Ghamela), Plastic Tub, Plastic Drum, Plastic Kitchen Basket, Plastic Food Container, Dustbin, Plastic Jug, Plastic Mug and Plastic Soap Stand. In addition to these products, we also offer Plastic kitchen accessories, Plastic laundry baskets, plastic basket, baskets, kitchen jug and glasses. These products are appreciated by our clients because of features such as durability, smooth finish, dimensional accuracy and environment friendly and extensively used in residences, offices and industries among others. We are known for our commitment towards providing premium quality plastic products to our clients at industry leading prices. The entire range of products is manufactured by using superior quality plastic raw material. Usage of high-tech equipment and quality policies keep our product line in compliance with international quality norms and guidelines. Our qualitative products have helped us to earn the trust of our clients located across the Indian Subcontinent. Considering the convenience of our customers, we provide them with easy payment modes such as cash, cheque and LC. Timely and secure delivery of our products is done primarily by air, cargo, road and sea.